Trickserei suspected: The judiciary commissioned a report that rips the counter-transactions in the Eurofighter deal in the air. The Eurofighter U-Committee has become quiet. But on Tuesday the investigating prosecutor Michael Radasztics will be testifying before the deputies, That will be exciting. 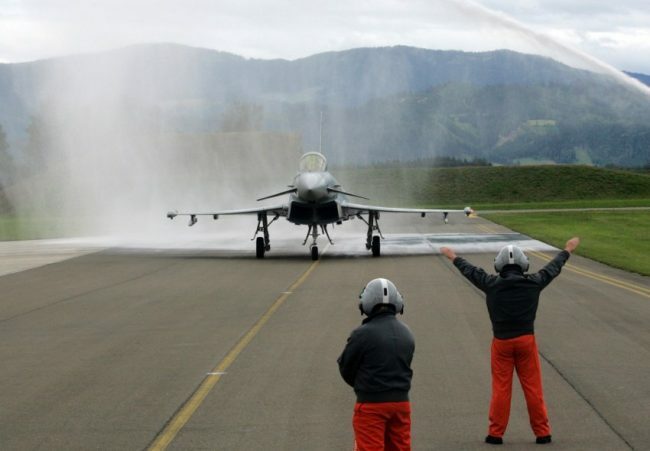 For the prosecution, which investigates fraud against Airbus, has had a report prepared, which has examined the counter-transactions of the Eurofighter deal. As a reminder: For the order of 15 jets 2007 counter-transactions worth 3.5 billion euros were agreed. The opposition has always had doubts that these deals ever took place. Top executives like Sigi Wolf (formerly Magna), said in the U-committee that counter-transactions were an “incredible enrichment” for Austria. “I can not see what’s wrong with this deal,” he said in September. What’s right? The opposition may cheer, because the new report, which is exclusively available to the KURIER, now confirms their years of conjecture. In the counter-business seems to have been unrestrained and cheated. Appraiser Gerd Konezny has his for opinion more than 50 percent of the officially recognized offsetting transactions under scrutiny. His verdict is devastating. What does that mean? For the most part, the settled counter-transactions did not have any domestic added value – which is far from the point, because they should boost the domestic economy. For example, In counter-business with Alutech, there was only a domestic value added of 50 percent. A similar example provided by the appraiser between Magna Steyr Fahrzeugtechnik AG and Mercedes – in this case, the domestic added value was only 29.65 percent. The remaining 70 percent were produced abroad, but 100 percent counted as counter-business of the Republic. How uninhibited normal contracts, which were there before the agreement between the Republic and Airbus, were renamed counter -operations, can be read from the following lines in the report. “Although some letters could be made, in which representatives of Austrian companies thanked for the successful mediation”, the exhibitors of these letters stated that this thanks was based on guesses, but at least not on their own perceptions of a specific mediation service”. What’s getting worse: The Eurofighter Group has added the commission costs for arranging counter-transactions on the selling price. An amount of at least 183.4 million euros increased the purchase price of this type. That was a key point why the Republic filed a complaint of fraud against Airbus. Also FPÖ-Minister of the Interior Mario Kunasek has confirmed to follow the recommendation of the Finanzprokuratur and to allow no counter-transactions. “It’s devastating, because the report shows that the counter-trade confirmations are fake. Airbus, Daimler and Chrysler were traveling here as a counterfeiting workshop. It confirms what we have always suspected.